First up, the Philadelphia Phillies! The 2015 season was not kind to the Phillies. On one hand, they were in the bottom three in the Majors in runs scored. On an even shittier hand, they were also second to last in the Majors in ERA. And on a third imaginary mutated hand with 8 fingers and no thumbs, they played a good chunk of the season with some of the most awful garbage humans on the planet. Chase Utley? Dirty player. 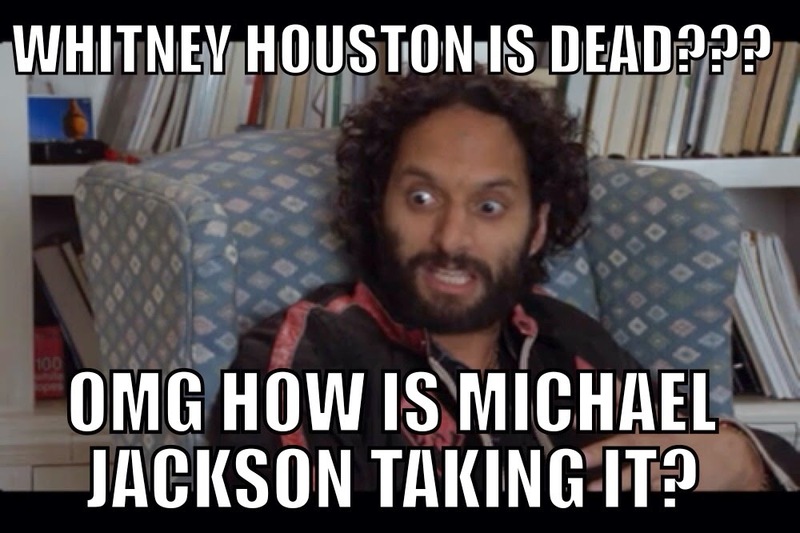 Who can forget when he broke Reuben Tejada's leg? Jonathan Papelbon? Way into chokesex. Ryan Howard? Hangs out with diddlers. True, they did trade away both Utley and Papelbon (and Cole Hamels and Jimmy Rollins), but they did the usual Phillies thing and waited about a year or two too late to trade them and didn't get maximum value. 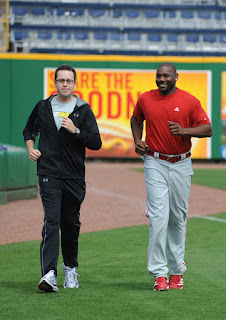 Although you can't blame the Phillies for not trading Ryan Howard because they've been trying for years. No one wants that contract or his associations with known diddlers. Reason To Watch: Maikel Franco (3B) looks like the real deal and could be the latest Phillies great at the hot corner. And while he may not be able to field like Scott Rolen or grow a mustache that would make most men openly weep like Mike Schmidt, the kid can destroy the baseball, with a .217 ISO last season as a rookie. In a home ballpark that plays quite well to power hitters, I'd say 24 homers are a given with 30+ as a ceiling, stupid spelling of his first name or not. Reason To Drink: Just about everyone else on the team. Jeeeeeeeesus Christ, I couldn't pick this starting lineup out of a group if I was holding all of their baseball cards in my hands. Outside of Franco, this lineup is just a garbage fire of has-been's (Ryan Howard) and who-is-that-now's (everyone else besides Franco). Their outfield of Aaron Altherr/Odubel Herrera/Peter Bourjos sounds like 3 names grabbed from a bag of identities cops keep on hand for when people need to go into witness protection. Not blackout drunk enough yet, Phillies fans (SPOILER ALERT: Phillies fans can never get 'drunk enough')? Freddy Galvis is your shortstop. Still looking for a double-shot of hot runny dump on top of all that? Your 'ace' (and the use of that word is so loose it would make a cathouse madam blush) is Jeremy Hellickson, who hasn't had an ERA under 4.50 since Whitney Houston died. And your #2 behind him is Charlie Morton, the pitching equivalent of a big steamy #2, so maybe that's fitting. The Fans: Philly fans are pretty terrible, but in a way that's not too obtrusive. Unless you're Santa Claus or they decide to throw batteries at you, you can just ignore them and pretend they aren't there. 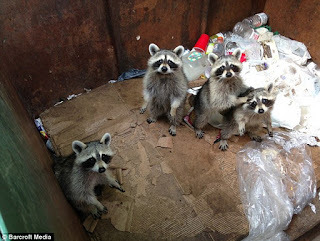 It's like the raccoons that go through your garbage - as long as they don't make a mess, it's easier to just let them be. Did you say cheesesteak? Someone said cheesesteak. 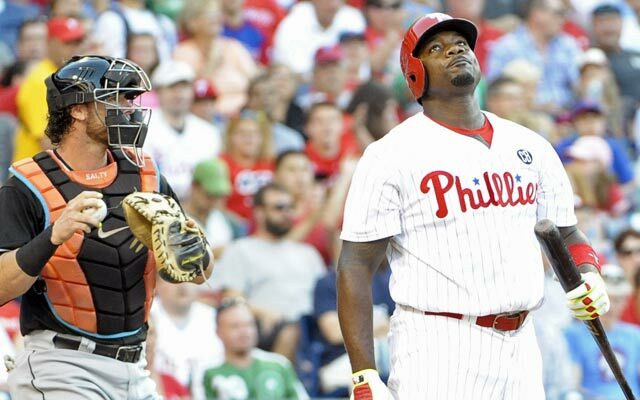 Their Worst Contract: All of you were probably thinking I was going to say Ryan Howard, but you would be wrong. 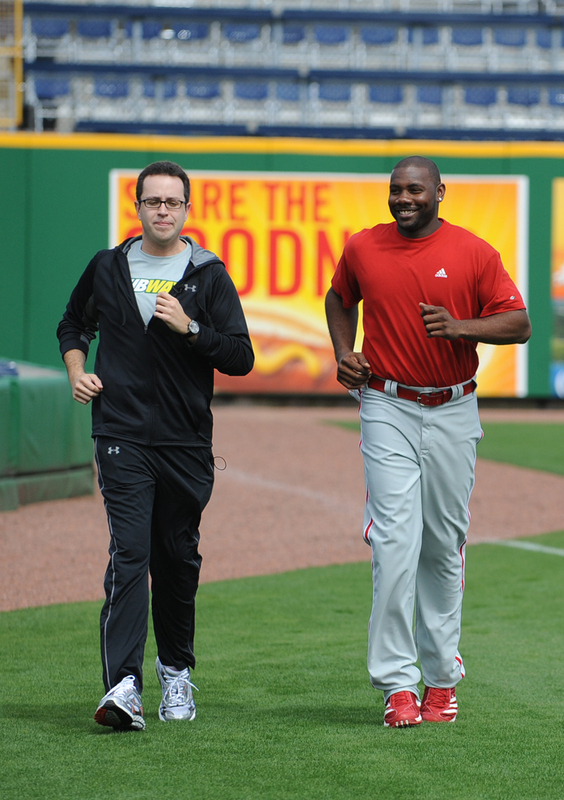 Sure, Ryan Howard is going to make $25 million this season, but at least the Phillies will get SOMETHING out of him. Compare that to the $12.5 million of absolute sunk cost that the Phillies will be paying 37 year old Cliff Lee this season to not even pitch for their team. For that much money, you can buy Paula Deen's mansion, which I assume is full of white hooded robes covered in Crisco. Fantasy Standout: Aaron Nola? He's not bad. Not great, but he's going to look a lot better in comparison to the other clowns on the team. Fantasy Bust: Everyone else. Seriously, this team is like the sun during an eclipse: stare too long and someone older than you will yell at you and smack you across the face. The Pop Culture Equivalent To This Team Is: All the upcoming water events during the 2016 Summer Olympics in Rio. In case you haven't heard, all of those water events will happen in what is basically poo water. That's not me reaching for a 3rd poop joke in s a single post. It's the truth. You might feel the urge to watch, just to see if it's as gross as you think it will be. Don't. It is, and you won't be any better off turning in. Much like those poo-water games, the 2016 Phillies technically have to play a season, but it's probably better if you just ignore it.